We met Rendala in November 2016 when she sent us a request for a wedding. Our correspondence lasted so long that Rendala already became a part of our lives. Sometimes I called our consultant who corresponded with her by the name of Rendala. And it began to happen more and more often so that it was very funny for everybody in the office. 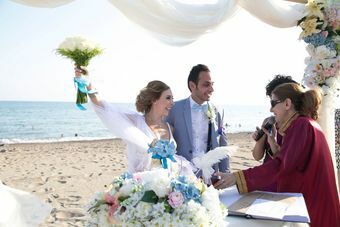 While our negotiations and preparation of the documents were going on via WhatsApp, we were happy to share with Rendala and Tamim their exciting expectation of the official registration and Marriage In Antalya. 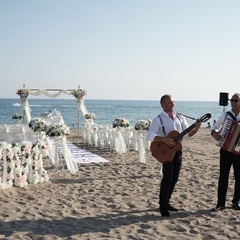 On June 28, 2017, at 09:00 AM we took Rendala and Tamim from the Spice Hotel in Belek and went to Antalya to prepare Official Documents for their marriage. After returning to the hotel, we walked to the place of the future wedding and discussed the wedding program. 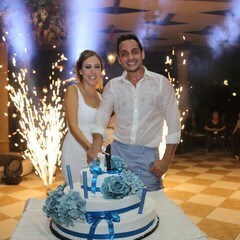 Rendala and Tamim should be the most cheerful bride and groom of Lebanon. This cute couple has a special place in my life. I still sometimes call my workers by name Rendala. Dear Rendala, do not forget us. 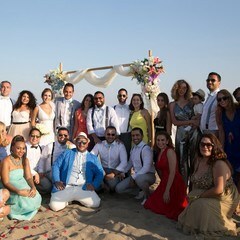 On the day of the wedding on June 29, we went towards the Spice hotel with the whole team of 20 people on three cars, a minibus, and also three trucks with materials came with us. 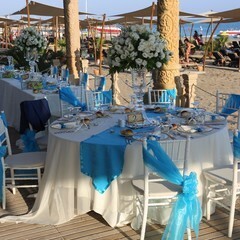 We prepared a special wedding decor for Randala and Tamim and were excited as much as them. 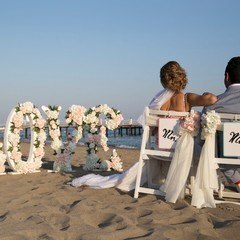 At the entrance to the wedding place, I installed a special pano, on which the initial letters of the names of the bride and groom were written. The guests had an incredible party all evening. Randala and Tamim danced on their friends' shoulders. 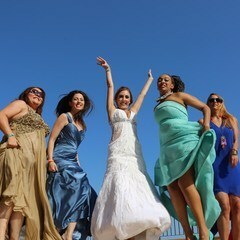 We immortalized these moments of joy and happiness in 2500 photographs and video throughout the wedding. 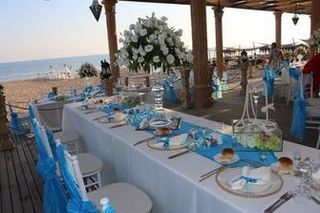 On June 29, 2017, thanks to the couple Randala and Tamim, together with their friendly guests, our Lebanese-Turkish friendship was born, which left a deep impression on my life and on the lives of my team. Dear Randala and Tamim, we will never forget you.